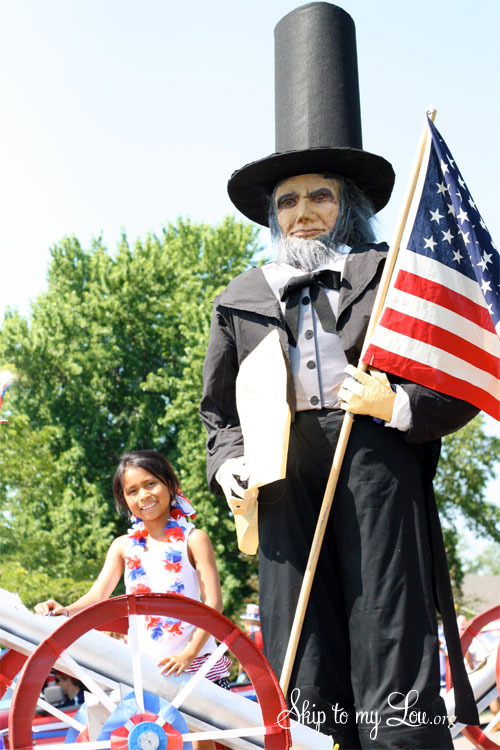 We love a good Fourth of July Parade Float. Thanks to some amazing and talented friends we were again this year awarded Grand Champion! 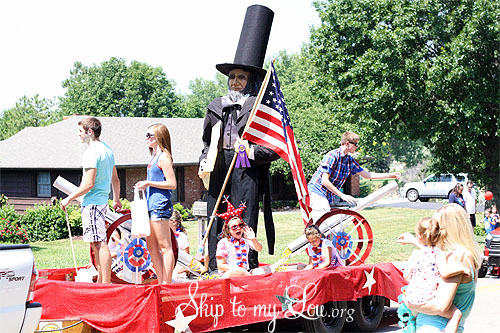 Here are all our parade floats! 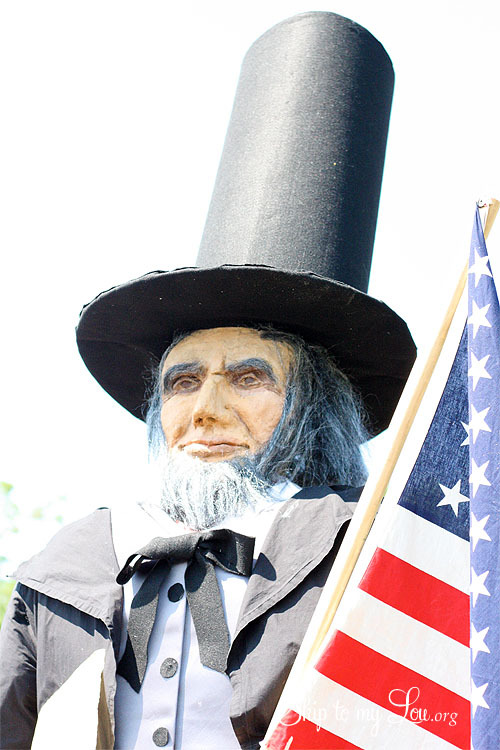 My amazing friend Melissa made Abe’s face! Yes, the cannons really work! They shot candy to the crowd. Hope you all are having a wonderful Fourth of July! I love it! I can't believe the cannons actually shot candy. That is so awesome. Nice job team! I love seeing these floats ever year! This one may be the best yet. This is totally amazing! I especially am amazed with those water cannons shooting candy! Those must have been a huge hit! We do neighborhood parades every year and we never have seen anything like this. WOW. What a wonderful job by all! It really IS a team effort. It is special to have the creativity by Melissa, Good Job and we did it again 9 years running Grand Champions!